How to distribute your rooms to OTAs? 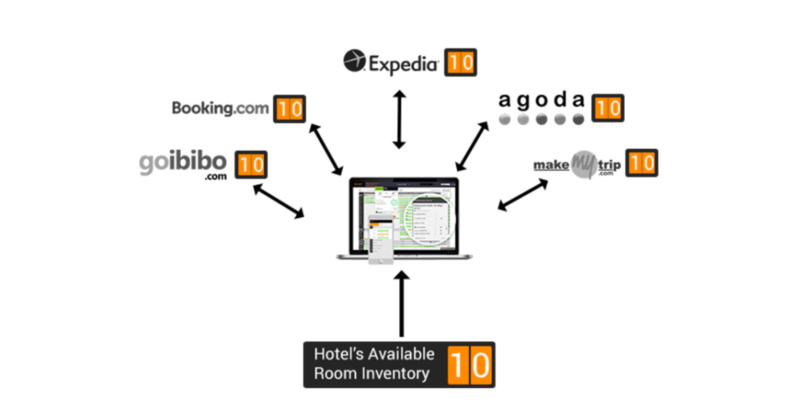 Home Blog How to distribute your rooms to OTAs? OTA’s are an important part of the routine distribution system of inventory in any accommodation setup. They form a huge chunk of the online booking systems for hotels worldwide. Not only they significantly increase your online presence, OTAs are a top online booking system for hotels to diversify into a new client base. Customer acquisition cost (CAC) is important for your revenue performance or meeting budgets, but let the customer lifetime value or the gross profit from all historic purchases for an individual customer be a key informant of your distribution choice. The best Channel Manager will connect you to the best local travel booking channels (OTAs, GDSs, Vacation rental portals etc. ), hence they boost your chances of getting more bookings. Any changes made on the Channel manager, be it a reservation or cancellation; your room inventory is updated in real time across all the OTAs. For Example: You push 10 inventories to Channel Manager; PMS(Property Management System) picks and distributes 10 inventories to all the OTAs. Suppose there is one booking done on a Booking.com then Channel Manager will show as 9 inventories and the same will be updated on all the OTAs; it’s done in real time. 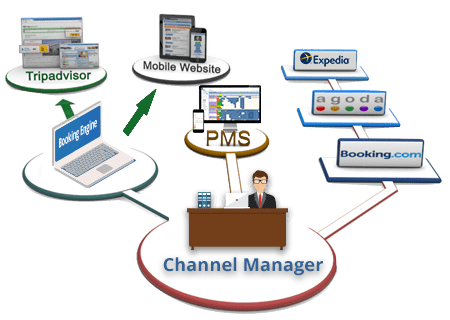 The Channel Manager pushes the updated prices on all the connected channels in real time to avoid rate disparity with OTAs. PMS(Property Management System)-How do they work? PMS picks the data from Channel Manager and distributes to all the OTAs. Be present on more OTAs with less effort to maximize online visibility, and your revenues. At Axisrooms, we offer you the best Channel Manager to manage the prices, inventory and bookings across all online channels in real time.